This was a delightful design project, working with a product manager at General Mills, the on-site food stylists, and photographers. 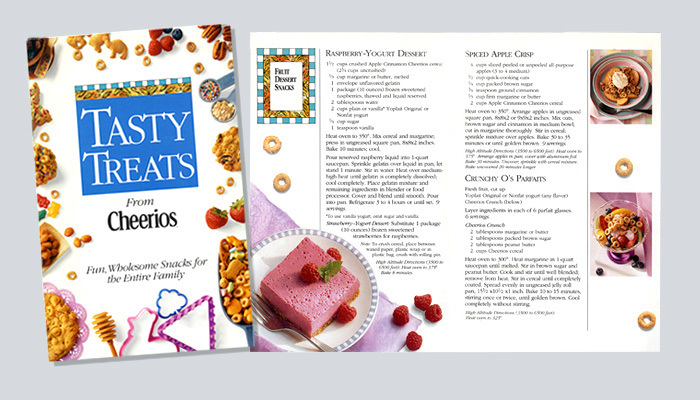 The objectives were to develop concepts for engaging photography and design that would captivate and encourage readers to utilize the recipes using Cheerios. 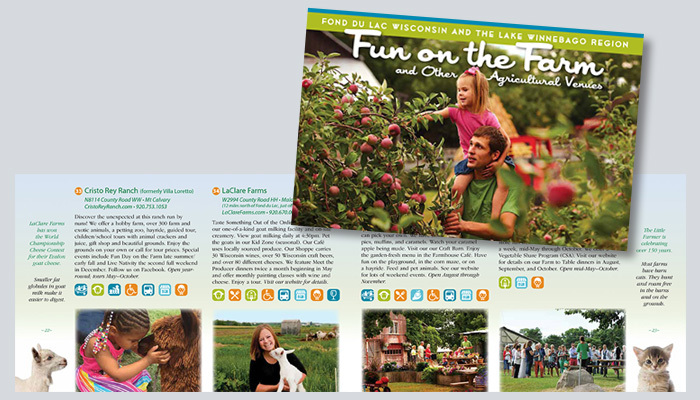 The goal for this project was to highlight agritourism destinations in our area and encourage locals, visitors and motorcoach tour groups to enjoy these unique experiences. The process involved research, contacting businesses, design, writing, and production. The clients’ quantitative data confirms the success of the efforts. This company wanted to change their customers’ perceptions of vending machine fare, since they offer many healthy options. The images included both stock photos and studio photography by Craig Augustine. 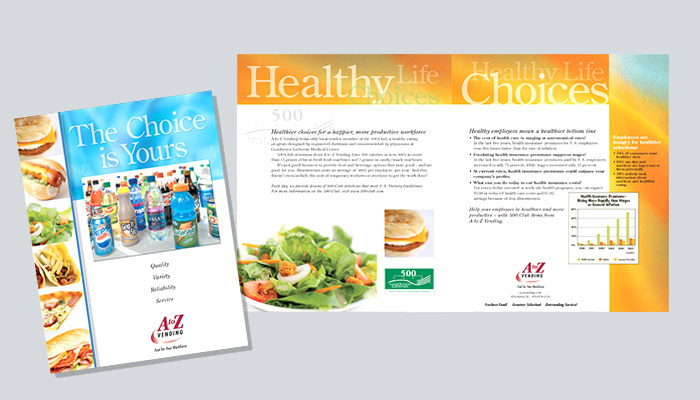 Another challenge in this project was to develop a design that worked both as single pages for sell sheets and as spreads in laminated booklets to be utilized by the sales force.